Come for a coffee and more. The traditional method of brewing Singapore-style coffee is alive and well at Nanyang Old Coffee in the Chinatown neighbourhood. 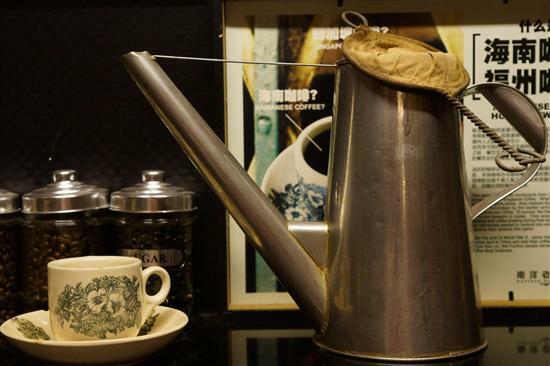 Come for a cup of kopi-o, handmade dim sum and to browse the mini-museum of antique coffee-making equipment. For those who like it the old-fashioned way. 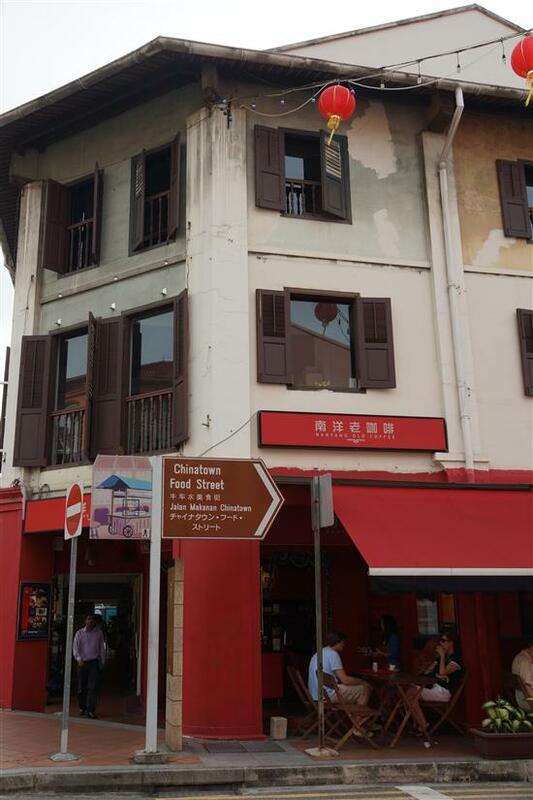 Nangyang Old Coffee is located in the ground level of a red shophouse at the junction of South Bridge Road and Smith Street – better known as Chinatown food street. There are a handful of tables on the footpath which are perfect for people-watching, or you can sit at one of the utilitarian wooden tables in the cafe’s old-school interior. Hot beverages are the big seller here and it takes an entire page to list the variations of coffee. As is tradition, Nanyang’s coffee beans are roasted with sugar, ground and then strained through a device that resembles a sock. Thick and robust with undertones of caramel, the coffee is not to everyone’s tastes but at just S$1.20-1.50 a cup it’s worth trying. The menu is printed in English and Chinese and offers tips how to order coffee like a Singaporean. As the coffee is by default served with condensed milk, if you take it black ask for “kopi o” or, if you like it extra sweet, ask for “kopi ga tai”. The coffee served here has very little in common with Starbucks, but if you’re craving a frappuccino they’ll put your coffee in a blender with ice cubes for S$1.80. If you’ve reached your caffeine limit for the day, they also serve tea, soft drinks and lime juice with sour plum. Coffee and a biscuit, Singapore-style. 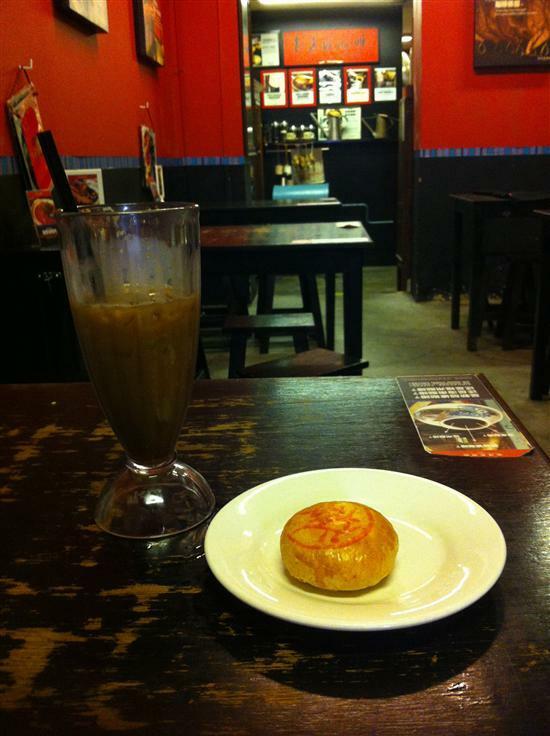 In addition to traditional coffee, Nanyang Old Coffee serves a variety of traditional Singaporean foods and snacks. For breakfast try the local favourite of kaya toast – crispy bread with coconut jam and butter – for S$1.50 or in a set with coffee and soft-boiled eggs for S$3.50. At lunchtime, try the nasi lemak (coconut rice with side dishes) or a bowl of steamy bak kut teh (herbal pork rib soup). If you just want something to nibble on with your coffee, try the traditional Chinese biscuits or homemade dim sum (from S$0.80-1.50 each). You can learn a lot about Singapore’s coffee traditions simply from the posters that decorate the walls, but remember to visit the small coffee museum at the back of the cafe before you leave. The quirky collection includes antique coffee cups, brewing equipment and even the uniform traditionally worn by “baristas” at Chinese coffee shops – pocketless pants so they can’t steal anything! A blast from the past and a good cup of coffee.